You are here: Home / Ask an Expert / Ask an Expert: How do I create great content for boring products? Ask an Expert: How do I create great content for boring products? Ask TopRank® Online Marketing your questions about SEO, social media, blog marketing and online PR. We’ll feature one question and answer each month. This month, we answer a question we hear often: How do I create great content for boring products? Great question, content creation is a struggle for many businesses. If you aren’t convinced your business is interesting to write about, you’re not alone! For this very reason, the first key element in the planning and creation of interesting, relevant content is a change in your mindset. We often think about our key selling points and unique product features as the things we want consumers to know about our product. Are you listening to your audience to discover what it is they want to know? Your product might very well be boring. As long as it sells and you’re operating a sustainable business, people must be finding it useful in some way. It’s easy to fall into believing your brand must be fascinating, entertaining, and humorous to capture and keep the attention of social fans and online searchers. However, many people are simply looking for utility. They want information. They are looking for ways to make their lives easier. Change your mindset and don’t try to compete as an entertainer. Instead, be a useful resource. Content curation is a great strategy that will help your brand share a steady stream of interesting social content, without the burden of creating all of it in-house. Position your company’s social presence as a hub of information in your industry by sharing relevant, engaging content from non-competitors with your audience. 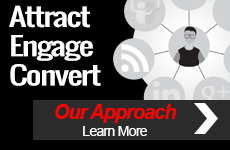 Repurpose existing content for more play across social channels. This is a tactic to improve efficiency, but can also improve the performance of each piece of content, as well. Say you’ve written a whitepaper to be downloaded from your website. The charts in that whitepaper can be used as standalone graphics on Pinterest, Facebook and Google+. A blog post can be written to summarize the paper and share highlights. An executive can create a video summarizing the paper’s content. In this way, each piece of content becomes an opportunity to create more around it, to promote it and to reach out to consumers across a variety of channels. 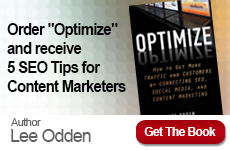 For more inspiration on content creation and a list of 30 content tactics, see Lee Odden’s Content Marketing – Tactics and Best Practices resource at Online Marketing Blog. If you’re looking for assistance with your digital content strategy, contact us to get started.